The famous Farmers Market at 3rd and Fairfax in Los Angeles only has a few places to sit and have a drink, and they are mostly good for beer. Monsieur Marcel is an open-air market/restaurant at the southeast corner of the venerable collection of shops and stands which speacializes in wine. The outdoor seating is warmed on cool nights by plenty of overhead heaters, and diners get a constant stream of shoppers coming and going for their people-watching pleasure. 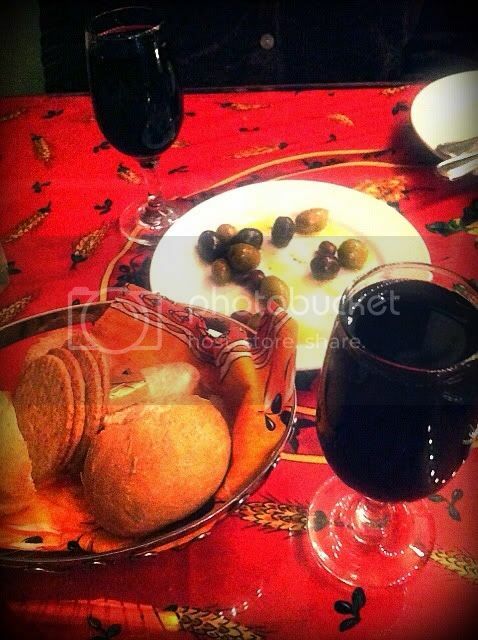 We happily accepted the customary basket of bread and plate of mixed olives, then ordered some cheese and wine. The wines at Monsieur Marcel are unfortunately served in tiny little glasses, making it hard to get the aromas. On the plus side, they serve their red wines at cellar temperature. The Pierre Laplace Madiran Tannat 2007 is a blend of Tannat, Cabernet Franc and Cabernet Sauvignon. Madiran is in the Southwest France wine region, in Gascony. The tannic Tannat is the main grape of the region and is often blended to soften the tannic attack. This wine sells for $9 by the glass in the restaurant. The nose was hard for me to discern, but the flavors of blackberry and blueberry jump out immediately. 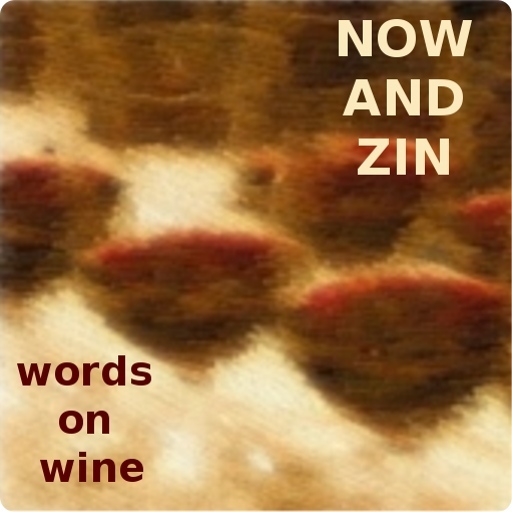 An herbal, tarry note flies under the radar and the wine is not as tannic as I had expected. The Cabs do a good job of taming the Tannat. Our other wine also hails from the southwest part of France - Carcassonne, to be exact - in the Languedoc-Roussillon region. Carcassonne is inland from the Mediterranean, west of Narbonne. It was near Carcassonne that sparkling wine was invented, in the 16th century, when the Champagne region was only producing still wine. The Chateau de Bonal Vin de Carcassonne 2007 is a still red wine selling for $9 by the glass. Five grapes make up the wine - Grenache Noir, Merlot, Cabernet Sauvignon, Cinsault, and Alicante. It has a fruity, almost grapey, flavor that smacks of blackberries. It's nice and dry, with a good tanninc structure. As for pairing with the cheeses, we liked both wines best with the firm Etude, closely followed by the hard Manchego. The Brie de Meaux was our least favorite pairing, although it wasn't unpleasant at all.